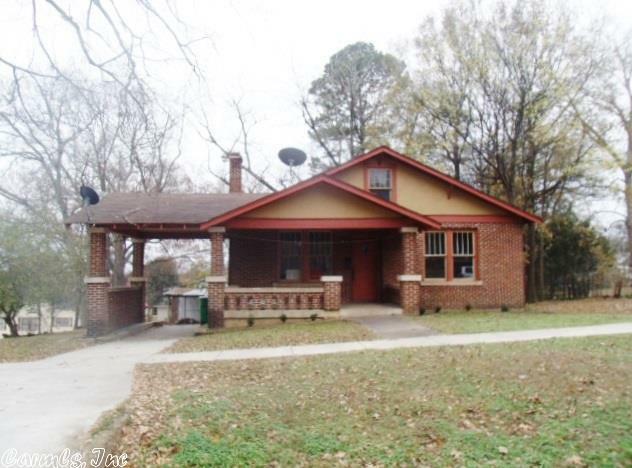 Brick Home features Great Room with charming brick fireplace. French doors leading to office area/sitting area(or could be converted to 3rd bedroom). Kitchen area offer new cabinets, vinyl flooring, and gas stove. Beautiful Hardwood floors and Large Bedrooms add to the characteristic of this home. Front Porch, Large Backyard, and storage building. Unfinished basement area that would make a great game room.